For a few precious years of my childhood, I spent a week or so each summer in South Carolina. I can remember the long car rides from my family’s central Pennsylvania home as we followed I-95 south toward palmettos and perfect shorelines, rolling past campy roadside attractions and on to Hilton Head Island. My parents so cherished the memories we made on those family-friendly spots of land in the big, blue Atlantic that we never got around to exploring mainland South Carolina. It’s a glaring oversight I’m glad I was finally able to remedy recently with a trip through a bigger chunk of the state’s legendary low country. It may be tricky to delineate exactly where the low country is, but it’s much simpler to describe what it is. This culturally distinctive swath of the state is distinguished by its flat, lyrical landscape, soaked in marshes, rivers and estuaries, draped with ever-present Spanish moss that hangs, tinsellike, from the region’s famed live oaks. This is the real-deal South, dotted with historic plantations and gracious architecture designed to beat the subtropical heat — like those massive pillared front porches that seem to go on forever — proudly dishing out just-caught seafood cooked in the celebrated “boil” style. 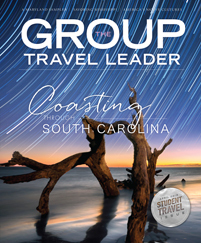 Whether by motorcoach or family-filled automobile, South Carolina’s low country is an achingly beautiful, utterly fascinating place in which to wander. Both works were turned into critically acclaimed films; you can take a gander where they were shot with Pat Conroy’s Beaufort, a 90-minute tour offered by Beaufort Tours in partnership with the Pat Conroy Literary Center. Or, get a more general view of this genteel locale with a Spirit of Old Beaufort tour. I recommend the easy 90-minute ramble through the stunning Historic District, declared a National Historic Landmark in 1973. It’s a great way to stretch your legs after a long drive. Afterward, head seven miles southeast to St. Helena Island and the Penn Center, site of the former Penn School and a National Historic Landmark District. If you’re lucky, you might get to meet Robert Middleton, an elderly, soft-spoken man who volunteers at the center. He was a student at the school, which he explained to me was one of the first in the country for formerly enslaved people. The 50-acre grounds of the Penn Center would eventually serve as a retreat for Martin Luther King Jr., also hosting the likes of Jesse Jackson and Joan Baez, who famously played her guitar to quell arguments among the impassioned social justice activists. Its very landscape is hallowed, but no more stunning than the cobblestone streets, flickering gas-lit lamps and pastel-colored buildings of Charleston. One of the country’s most popular destinations, Charleston is less than a two-hour drive from the Penn Center. When planning your visit, keep in mind that the city requires buses to be permitted and to park at the Charleston Visitors Bureau Bus Shed. Should you want a guide through charming Charleston, reach out to Mary Lindsey of Bulldog Tours. She led me on a fantastic two-hour tour filled with compelling info both historical (“four signers of the Declaration of Independence and four signers of the Constitution were from Charleston”), and contemporary (“we have a 240-day growing season, so most of the produce served in the 345 restaurants on the peninsula is grown locally and brought in to be served that day”). Speaking of restaurants, Charleston’s are among the most lauded in the South. Home Team BBQ, which includes a downtown location with indoor and outdoor seating, serves some of the best low- and slow-cooked pork I’ve had in my life. Be sure to sample the six different homemade bottled sauces sitting on the table — if you like spicy, pile on the Hot Red. For a fine-dining experience that welcomes groups, head to the Establishment on Broad Street. The seafood, a can’t-miss dish in this city on the ocean, is prepared with exquisite simplicity to highlight its freshness. It wasn’t easy to bid goodbye to Charleston, but just 45 minutes away awaited what just might be my favorite low country experience: the Center for Birds of Prey. Though most of the 150-acres of this medical, conservation, research and educational center dedicated to our fine feathered friends is off-limits to the public, groups are welcome to take a guided tour that includes a walk through the two-acre Owl Wood, where some 14 different species are on display. Even more impressive was the flight demonstration. Watching hawks, owls, falcons and more soar overhead and alight on my guide’s arm, or catch food she tossed in the air was absolutely thrilling. From the Center for Birds of Prey, I headed 45 minutes up the road to Georgetown. Even smaller than Beaufort, with fewer than 9,000 residents, the city boasts a National Historic District and a bustling main drag filled with independent shops. There are some good museums to visit downtown, including the Kaminski House, set within a Georgian manor built in 1769 and featuring antiques dating from the 18th century. At the other end of Front Street is the South Carolina Maritime Museum, housing the old North Island lighthouse Fresnel lens and other artifacts. If the weather is good, be sure to take a stroll down the town’s lovely Harborwalk, which winds along the Sampit River. However you while away the hours, consider a meal at Big Tuna, a Georgetown staple. I had the oyster cocktail: six mollusks heaped on top of one another in a cup, so fresh they tasted like they’d been just scooped from the sea. If you love seafood like I do, you should probably do exactly what I did: continue north from Georgetown, up to Myrtle Beach, South Carolina’s playground by the ocean. It offers pretty much every diversion you could want, including theaters that boast Broadway-quality live performances, a beachfront boardwalk with arcades, a sweet old-timey amusement park and one of the country’s tallest Ferris wheels. And, of course, there’s the seafood. Myrtle Beach is to seafood what Texas is to steaks. The city’s finest restaurant might be Hook and Barrel, owned by 2018 South Carolina chef ambassador Heidi Vukov, also the proprietor of Croissants Bistro and Bakery. Hook and Barrel is beloved by locals for cooking beautifully prepared Southern favorites including shrimp and grits alongside dishes inspired by other shores, like paella. If you can tear yourself away from the seafood, the peach pork tenderloin is juicy and tender as can be. On Murrells Inlet, Wicked Tuna offers one of the area’s most impressive seafood destinations. Wicked Tuna boasts its own fishing boats, which head out weekly to snag catches off the South Carolina coast, like mahi-mahi, sea bass, snapper and grouper. The fish are then processed in Wicked Tuna’s own Fish House right on the docks before they’re sent upstairs to be tended to by the restaurant’s superb chefs. Groups can tour the back operations at the restaurant, watching fishermen haul in their catches at the docks and seeing the room where workers sort and process it for the restaurant. And sitting in Wicked Tuna’s expansive dining room overlooking the gorgeous inlet is the fantastic way to wrap up a low country vacation.